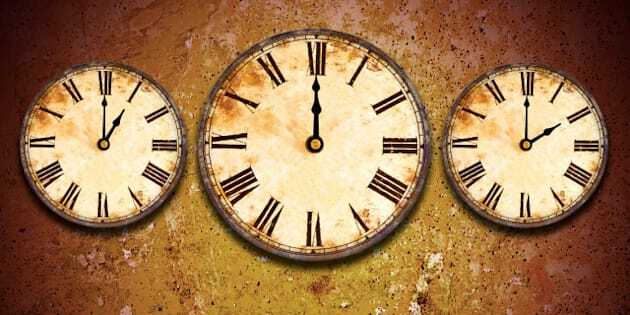 Time Change 2013: When Do Clocks Spring Forward? Every year, it's the same range of emotions — dismay at losing an hour of sleep on the weekend, then joy once you realize you'll be seeing daylight more and more often. Yes, daylight saving time (known more colloquially as daylight savings time) is almost upon us and after this rough winter, it will be both appreciated and anticipated. The date for the spring time change is March 10, 2013, when at approximately 2 a.m. clocks will switch to 3 a.m. and the world will become a brighter (or at least, sunnier) place by the next evening. At least, that's the case for North America, where daylight saving time always takes place the second Sunday in March. In the UK and Europe, the switch doesn't happen until March 31 (the last Sunday of the month), a continent-wide adoption that began in 2002. In fact, many countries don't even use daylight saving time, especially those below the equator, as their daylight hours don't change by the season. As this graphic from WebExhibits demonstrates, there are many more countries that aren't on daylight saving time than those that are. And in Canada, there remains some outliers as well, including the province of Saskatchewan (except for the town of Lloydminster and surrounding areas) and Dawson Creek in British Columbia. But for most of you in the Northern Hemisphere making Sunday plans for March 10, just remember to give yourself some extra time to adjust to the time change, and yes, allow for the timepieces that don't automatically update to catch up to the rest of the world. CORRECTION: This article previously stated that it would be sunnier the morning after the time change. In fact, daylight saving time means it is lighter in the evening, and only later in the season, lighter in the morning as well.